Infosurv is a leading professional research and survey company. We provide the information you need to make better business decisions. We do this through a combination of intelligent research design, efficient and reliable data collection methods, and thoughtful analysis and interpretation. We take our insights beyond a single, isolated project, beyond the silos of company departments or functions, and help you build a complete understanding of your customer, your target consumer, your employees, your market and your industry. You will think of us as your research department, a member of your team – only better. So we promise three things to each of our clients and evaluate ourselves according to how well we keep these promises. We develop a deep understanding of your needs or problems before we offer solutions. We’re really nice people – We work hard to be easy to work with! We know it works because we measure our clients’ satisfaction levels on every project and we rate better than 4.0 on a 5 point scale. If you need critical information to support your next initiative, let us make these promises to you. Please contact us for more information. How We’re Different – and Better! Most survey companies think their job ends when your project is complete. But information from one project does not always stand alone – its impact travels throughout your business. 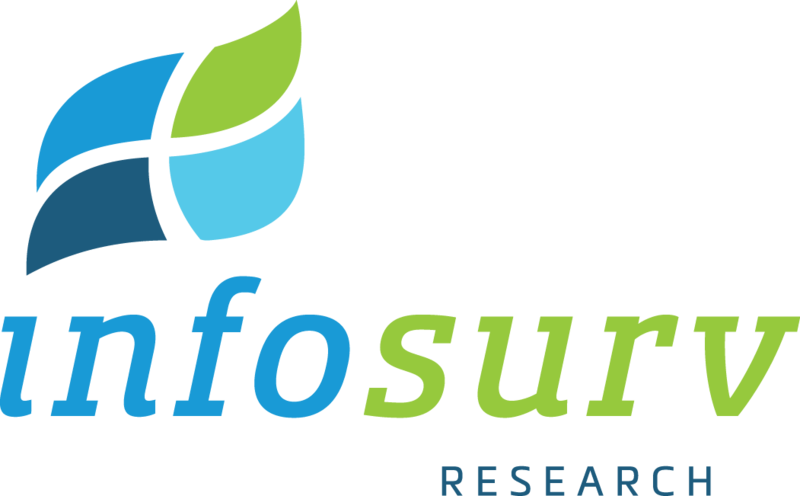 At Infosurv Research, we know our job is to go beyond a single project to link information and develop insights to improve your business. By helping you connect your project results to business performance, you get more bang for your buck. That’s what a research department does, and we want to be your research department! Through dedication to quality, speed, affordability, and service, we provide our clients with high-quality survey research data backed by a smooth, hassle-free customer experience. Add in our relentless pursuit of excellence and it is easy to see why our clients choose us for their most demanding market and survey research needs. Trust: Earn the trust of our clients and each other by maintaining the highest standards of integrity, openness, and work quality. Value: Run lean, work hard, and work smart to deliver exceptional value for our clients. Innovation: Innovation is the path to a superior client experience and superior business results. Balance: Maintain a sustainable work/life balance while producing high quality work for our clients. Rewarding results: We measure and reward performance for every employee in every role. Infosurv believes we have a responsibility to our community, whether that’s Atlanta (GA), Denver (CO), or the world. Therefore, every year Infosurv accepts “pro bono” survey projects to assist charitable organizations with their critical decisions. We also formed the Infosurv Foundation to allow a portion of our profits to support important non-profit organizations.